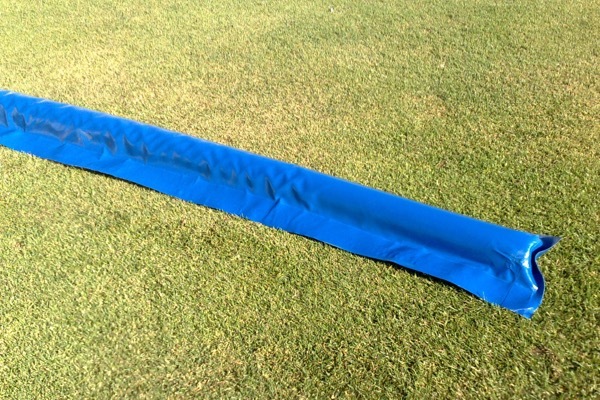 Where your pitch features a natural slope, the boom can be positioned to guide water from your flat sheet cover and away from your pitch and square. The PVC boom is made from insulation tube encased with a high grade PVC to make a lightweight, easy to handle boom for guiding water off your flat sheet cover. Useful if your square is on a slope. The Boom can be placed under the cover to create a ridge and prevent water from escaping down a slope. Prices based on £12 per linear meter.